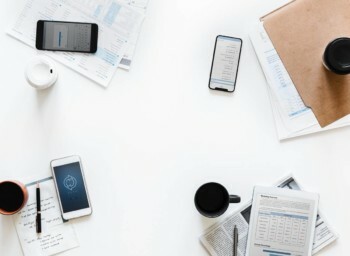 If you have photos of your receipts, bills or invoices stored in digital format (your cloud storage provider like Dropbox then Veryfi can slurp them up fast. No need to manually upload each one. Let Veryfi do the heavy lifting. Still storing records of your business financial transactions as photos on your phone, computer or in the cloud? Want to take advantage of the processing power of Veryfi to extract all the data points (also known as OCR) and then categorize and file them into the right tax codes? Time poor? Don’t want to upload each picture manually? If you said YES to these questions then Veryfi has a solution for you. It’s called “Veryfi Reverse Cloud Sync”. Veryfi will devour all your digital receipts, bills and/or invoices for processing into Veryfi. This process takes anywhere from 2-3 hours so please be patient. The following example with screenshots is using Dropbox. However you can also do the same using with Box or Google Drive cloud storage. 2. Once connected, you will see an “Veryfi Documents” folder inside your Dropbox Apps folder. Note the “Veryfi Documents” folder. If you have a different folder name then you can simply rename it to “Veryfi Documents” inside Dropbox. And also another one under “Veryfi Documents” called “Upload” folder. The former is your documents Backup folder and the latter where you drop documents into for uploads. 3. Finally, drop a document for upload into your /Apps/Veryfi Documents/Upload/ folder and come back in 2-3 hours. It will be gone from the folder. When it’s gone it means it’s processed and available inside Veryfi under https://hub.veryfi.com/documents/ and mobile app. When empty it means nothing to process or already processed. Check Veryfi Documents hub or mobile for the extracted and processed document. You are now done. Woohoo! How long is the Veryfi Slurp wait queue for document processing? Up to 3 hours. It varies based on load and number of documents. If you still see documents in your Upload folder after 3 hours please contact us on support@veryfi.com so we can investigate what the hold up is due to. When all the documents are processed, Veryfi will email you to let you know how the processing went. Example of such email below. What cloud storage providers does Veryfi Slurp work with? Where do I find the Uploads folder in Dropbox? What do the Veryfi folders do in “Apps” folder? /Apps/Veryfi Documents/ = is where Veryfi backs up all your transactions. It’s your secondary backup for all your business transactions. 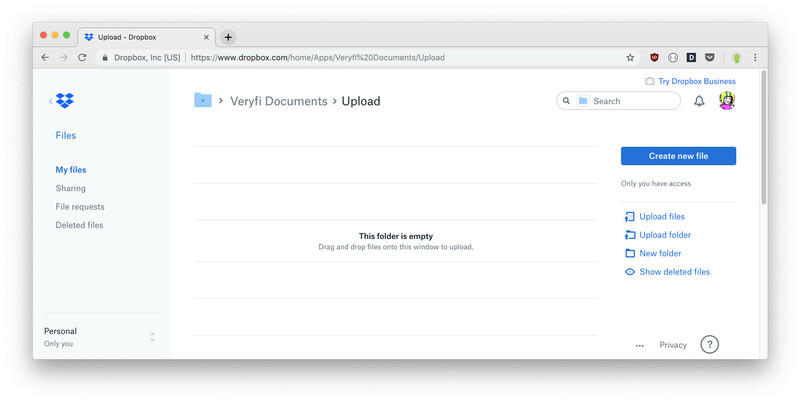 /Apps/Veryfi Documents/Upload/ = is where you bulk drop documents you want to push to Veryfi. I’m still lost. Please help?